I have an online crochet friend, her name is Melanie and we have a lot of things in common, we love crochet, we love crafts, we have kids and we are always looking for ways to keep them busy and we inspired each other. 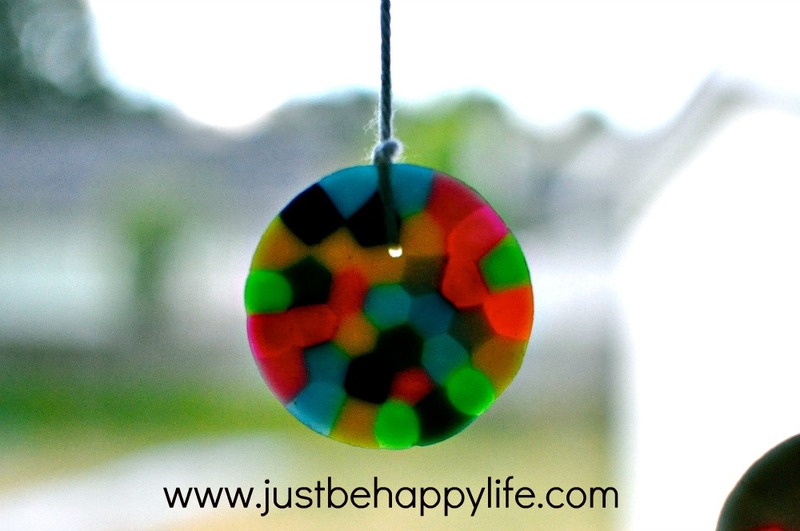 Today's craft was inspired by her, little man and I made sun catchers. 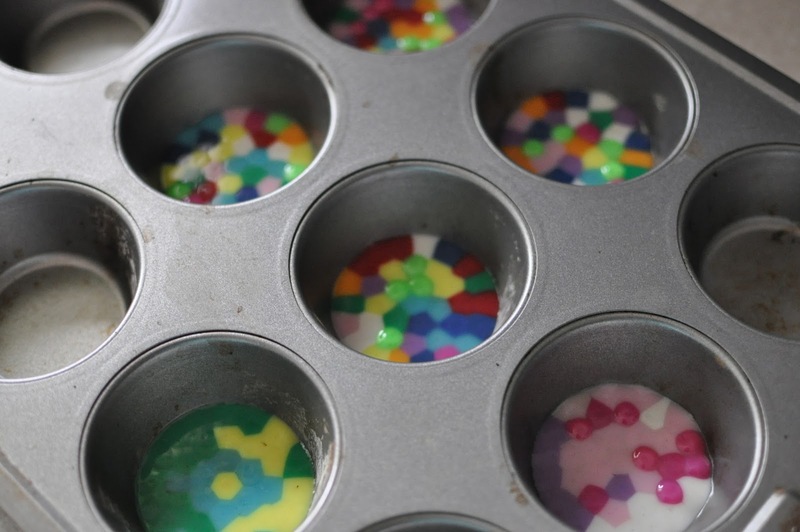 Put the pony beads in the muffin tin, all facing the same way. Little man was helping by dropping beads in the slots. Put in the pre-heated oven (400 degrees) and wait for them to melt. It doesn't take very long, about 10 minutes tops, I'd say. Once they cool down, which happens super quick, you just turn the tin upside down and they will pop out. I asked my husband to drill a hole in each circle, then I added a piece of yarn and I hung them on the window.